The 2007 NRA National Rifle & Pistol Championships are underway now at Camp Perry, Ohio. This year promises to be one of the best-attended Championship series in Camp Perry’s 100-year history. More that 4000 shooters will be competing in a variety of disciplines. The smallbore 3-Position event concludes today, July 22nd, to be followed by Smallbore Prone from July 23-27. CMP Rifle matches run August 1-4. The High Power Rifle competition will be held August 6-10, while the High Power Long Range match runs August 11-14. Visit the Camp Perry web site for Camp Perry History, driving directions, and lodging information. Complete match scores and standings are compiled daily and posted on the NRA Nat’l Championship Results webpage. Camp Perry is a 640-acre Ohio National Guard Training Site located on the southern shores of Lake Erie. Ranges and Training facilities include three automated firing ranges, ballistic shoot-house and multiple field training areas. An article covering the history of the Camp Perry matches, written by Philip Schreier, Senior Curator, National Firearms Museum, is on the NRA’s National Rifleman website. Click the graphic below to read the article. Share the post "Camp Perry Results Available Online"
The trend of shooting industry buyouts continues. Cerberus acquired Remington, Smith & Wesson purchased Thompson/Center Arms, and Brownell’s has bought out Sinclair International. Now Bushnell is the latest big outdoor company to change hands. Bushnell Outdoor Products will be acquired by MidOcean Partners, a private equity group. MidOcean will purchase Bushnell and its sub-brands from Wind Point Partners, also a private equity investment firm. Bushnell’s senior management team will remain in place (for now) and have a significant ownership stake in the company. 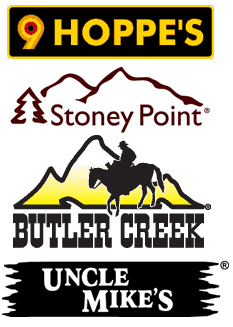 The deal includes Bushnell Outdoor Products’ 11 brands (15 product lines) including Bushnell®, Tasco®, Serengeti®, Bollé®, Uncle Mike’s®, Stoney Point®, Hoppe’s®, Blackwater Gear®, and Butler Creek®. Bushnell Outdoor Products was founded 48 years ago. In the shooting optics and electronics markets, Bushnell is well-established in the low- to medium-priced segment, with excellent distribution and marketing systems in place. 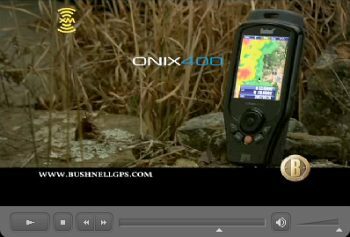 In recent years, Bushnell has brought out some of the more innovative, high-tech products and accessories in the shooting industry, including Laser Rangefinders with angle correction and the Onix line of GPS units that can download satellite maps and weather info via XM Satellite radio. Click HERE for Onix video. MidOcean Partners is a private equity firm with a wide variety of holdings including Concentra (Health Care), Lecta Group (paper products), Penton Media (B2B trade shows and journals), Totes/Isotoner (clothing), Palace Entertainment (family water parks). Based in New York and London, MidOcean invests in high quality companies with stable market positions and opportunities for growth in the United States and Europe. Share the post "Bushnell Outdoor Products Acquired by Private Equity Group"